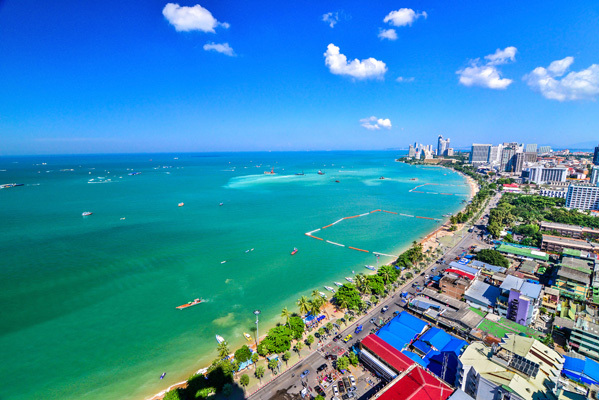 This tour leads you from Bangkok through historic cities and up to the far north part of the country and finish your journey at the beautiful Pattaya Jomtien Beach. The dates are flexible depending on your flight. 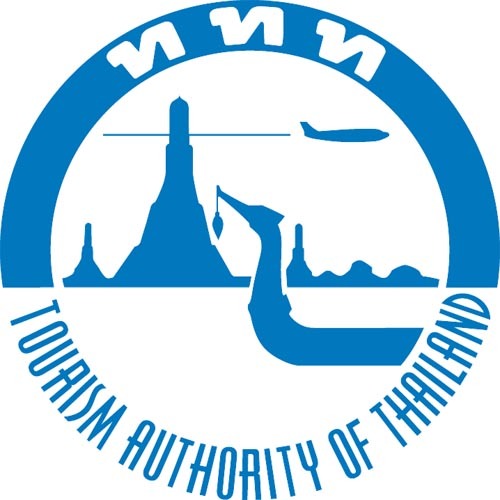 Your arrival date in Bangkok will be day 1 in the itinerary and your departure from Bangkok will be day 11. If you want to prolong your stay, please contact us. Arrival at Bangkok airport, reception, transfer to your hotel and installation. Bangkok is both a province and the capital of the Kingdom of Thailand with 7 million inhabitants intramural. Chao Praya River divides the city into two parts: first, the old Bangkok with its old temples and the original palace, Indian and Chinese quarters, and secondly, the modern Bangkok housing neighborhoods of business and residential and businesses. Bangkok is a modern and dynamic city, overlooked by many skyscrapers but that hides an undeniable Thai identity! Few cities in the world fire the imagination with exotic images like Bangkok. beautifully decorated palaces, Buddhist temples with monks chanting, serpentine canals that lead to a maze of water markets, bazaars that never sleep . Visit the floating market of Damnoen Saduak and explore the canals and boats with multiple activities. Free time for shopping. Continuation to Nakhon Pathom and its chedi (127 m high). Back to Bangkok and lunch in town. 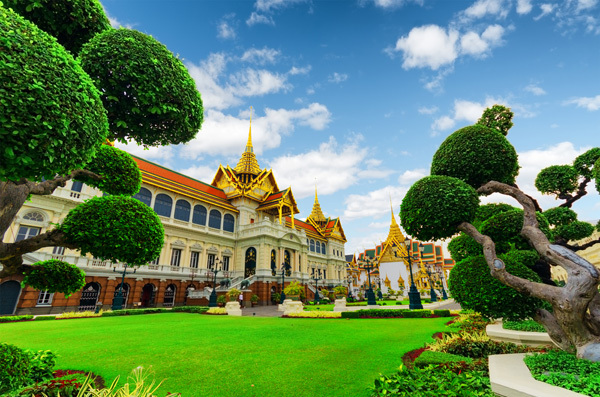 Visit the famous Royal Palace, Wat Phra Kaew (temple of the Emerald Buddha). Dinner show of Thai classical dancing. Overnight at hotel (Bangkok). Departure for AYUTTHAYA, the former capital of the Kingdom of Siam. 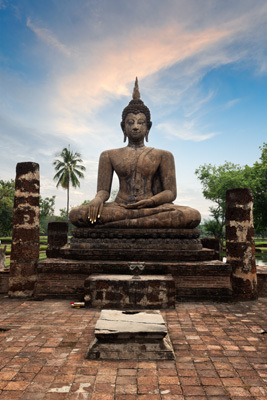 Visit Ayutthaya historical park (UNESCO world heritage site). Visit ancient royal temple Wat Srisanphet, founded in the fifteenth century was the most beautiful temple of the city. Visit the Monkey Temple (San Phra Kan). Depart for Sukhothai. Visit the historical park of Sukhothai, capital of the first great Thai kingdom in the thirteenth century (UNESCO world heritage site). Departure to Chiang Rai via Lampang. At Lampang, visit Wat Don Tao Prakeo. Stop and visit a pineapple plantation. Dinner and overnight in Chiang Rai. Departure to visit Akha and Yao tribes: primitive tribes who live mainly from agriculture and their crafts. 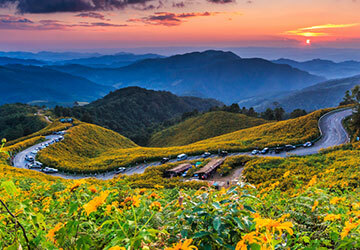 Visit the famous region of the Golden Triangle, thin strip of land bordering the three Thai borders, Laos and Burma. Return to Chiang Rai. 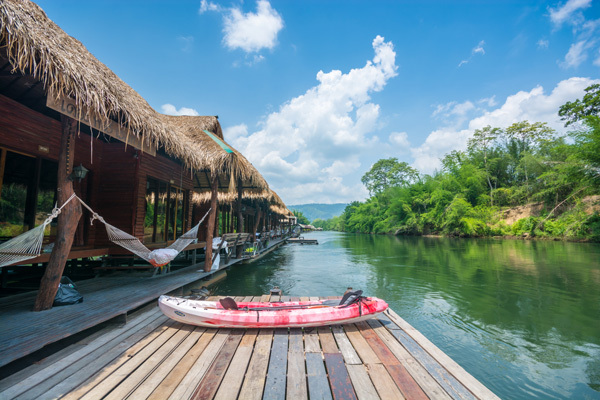 Lunch and boat ride on the Mae Kok River: visit KAREN hill tribes. Dinner and overnight in Chiang Mai. Departure to visit the beautiful temple of Doi Suthep, located 15 kilometers from the city of Chiang Mai. holy site for Thais, the temple is the largest Buddhist temple in the province, on the hill overlooking the city, which was an impressive sight. You reach it by three hundred and fifty steps framed snakes and giant dragons porcelain. Legend has it that a white elephant carrying relics of the fourteenth century, elected there and died there after barrier 3 times and have been 3 times around. Kuena the king made there soon bury the relic and built a chedi. Back to Chiang Mai and free afternoon. Arrival in Bangkok in the morning and transfer to a hotel near the railway station for breakfast. Then departure by mini bus to Kanchanaburi, at the confluence of the River Kwai. 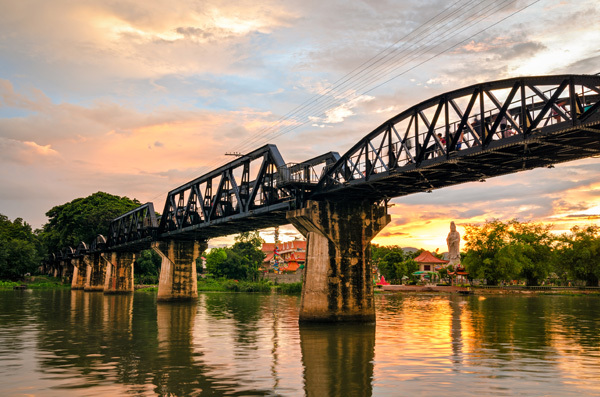 A memorial and two museums are visible in Kanchanaburi: the Thailand-Burma Railway Museum and Jeath War Museum, on the bridge itself. The railway of death (Death Railway), used by the railways in Thailand, and an ally cemetery of WWII Also Kanchanaburi. Kanchanaburi is the town closest to the Temple of the Tigers, which lies about 38 km northwest, and is also close to the Erawan National Park and its beautiful waterfalls. Ride on the train on the "railway of death". Lunch at a floating restaurant. Visit the War Museum "Jeath". Installation at the hotel. Dinner and overnight at the hotel (Kanchanaburi). Departure for a beautiful canoe trip along the River Kwai to admire the beautiful green landscapes of this valley. Departure to Pattaya with a stop to visit the temple of Wat Tham Sua Kanchanaburi. Continue to the seaside resorts of the Gulf of Thailand. Arriving late in the day and settle into your hotel. Free day to enjoy the beach or shopping. Lunch and dinner are exclude. Free time for rest or for shopping at the times of your international flight (your room will be available until 11 am).